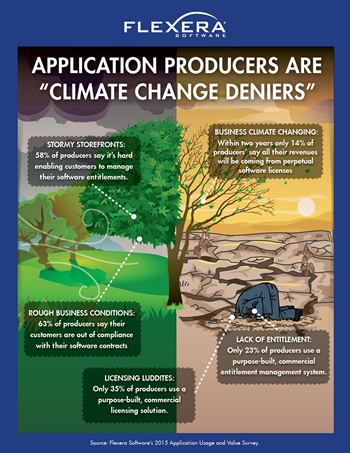 Are Application Producers in Climate Change Denial? 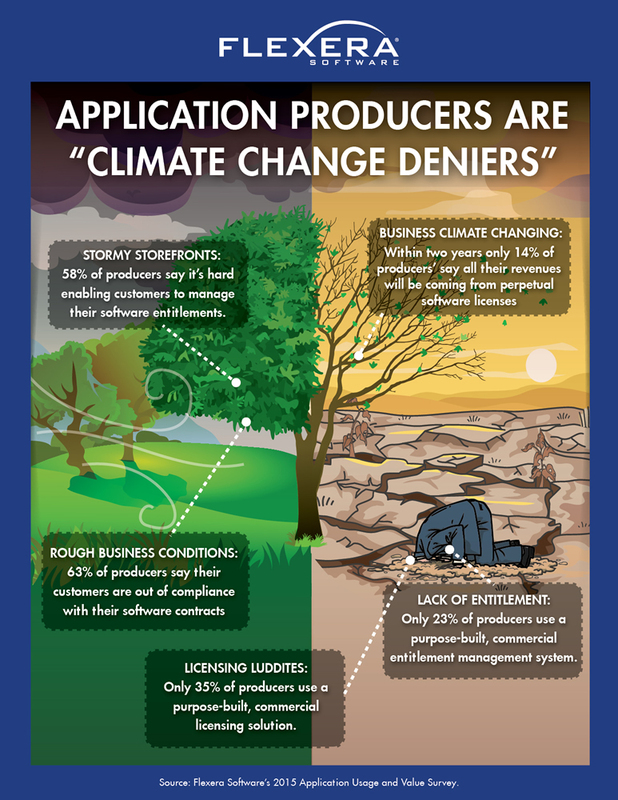 Report: Are Application Producers in "Climate Change" Denial? The environment in which application producers create, sell and manage their software is in a state of dramatic and accelerating change. Survival for these producers experiencing this business "climate change" depends upon their ability to read the writing on the wall and address these challenges head-on. To thrive in a dramatically different business climate means adapting business models and operations accordingly, and implementing best-in-class people, processes and technology. For producers – business operations revolve around Software Monetization. How do producers adapt to changing technology environments, license their software to maximize profits, protect their Intellectual Property and keep customers happy amidst the whirlwind of constant change? This report examines the new and emerging technology trends that are having the greatest climate change impact on application producers, the struggles they’re facing in the face of software climate change, and some solutions that could make a difference for those producers ready, willing and able to adapt. © Flexera Software LLC. All rights reserved.